The end of the war and Khomeini’s deteriorating health posed direct threats to the Iranian leadership, whose legitimacy was based largely on the Ayatollah’s charismatic leadership, and a fierce battle over the leader’s succession erupted just after the war. From 1985 to 1988 Khomeini supported Grand Ayatollah Hussein-Ali Montazeri as his successor, but Montazeri’s criticism of the regime’s human-rights violations and lack of democracy had incurred Khomeini’s wrath. 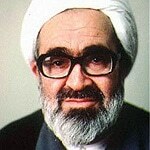 In March 1988 Montazeri resigned after Khomeini had publicly reprimanded him for his criticism. He was put under house arrest, until his death in 2009. Thereafter, the problem of succession remained unresolved until the death of Khomeini himself. The Ayatollah’s death on 3 June 1989 was a painful experience for many in the country. Khomeini’s body was kept frozen for three days so that people could pay him their last respects. 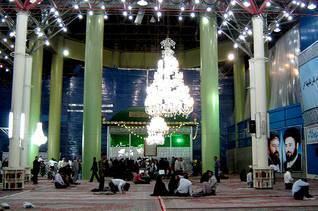 When Khomeini was moved to his final resting place, at Behesht-e Zahra cemetery (south of Tehran), his body was accompanied by millions of people. Hundreds of people were injured and there were even deaths due to the immense crowd. The day after Khomeini’s burial, the Assembly of Experts appointed Ayatollah Sayyed Ali Khamenei as Supreme Leader (Rahbar) of the Revolution. Khamenei was faced with a seemingly impossible task: to replace the beloved Imam. He had neither the religious credentials nor the charisma that Khomeini possessed: Khomeini had been the Supreme Leader and the man who inspired his people in their quest for martyrdom. 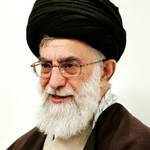 Although Khamenei had been President for eight years, he was not a particularly popular public figure. The aftermath of the war with Iraq confronted the regime with pragmatic issues about how the new state should be governed, both politically and economically. The conflicts in the leadership were caused in large part by Khomeini’s conflicting ideas on the formation and operation of the state. 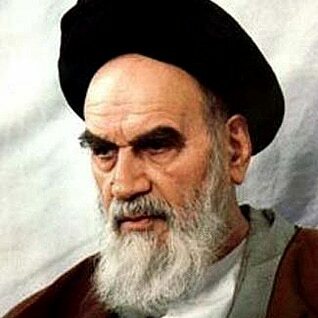 Moreover, while Khomeini did concern himself to a certain extent with institutionalizing power, he often expressed his disregard for mundane matters such as the economy, saying, ‘The Revolution is not about the price of watermelons.’ Instead, Khomeini insisted on the ‘spiritual awakening of the Iranian nation’.